When working with special effects, the most important part is timing. 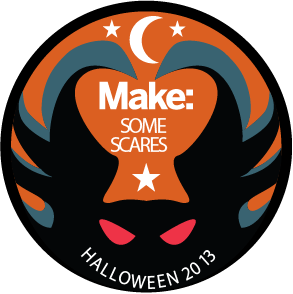 So for this Halloween, I am doing a series of projects that use simple DIY sensors to help you automate your Halloween setup. So far we have covered pressure plates and proximity sensors. This week, I am going to show you how to use motion sensors to activate your special effects. There are a lot of small motion sensor modules that will connect directly to your microcontroller. These output a HIGH signal whenever they detect motion. You can read this with a digitalRead function and then have your microcontroller activate any number of special effects. You can either use a commercial shield or make your own. If you want to activate AC devices you can also modify a motion sensor that is already designed to work with AC. In this project, I took motion-activated security light and I turned it into a motion-activated AC outlet. There are a lot of ways that you can use a motion sensor to help you automate your Halloween setup. Then after Halloween, you can use it to automate your house. Here’s the project on MAKE and Instructables. See the full series here and check out all of our Halloween coverage here.